Happy Thursday to you!! Today I have a special treat for you! You know how I love my Pina Colada’s from past recipes like my Pineapple Coconut Bread, Virgin Pina Colada, Pina Colada Green Monster Smoothie and Almond Coconut Granola. I have made several other dishes that use coconut and pineapple. I think It is just a wonderful tropical combination. 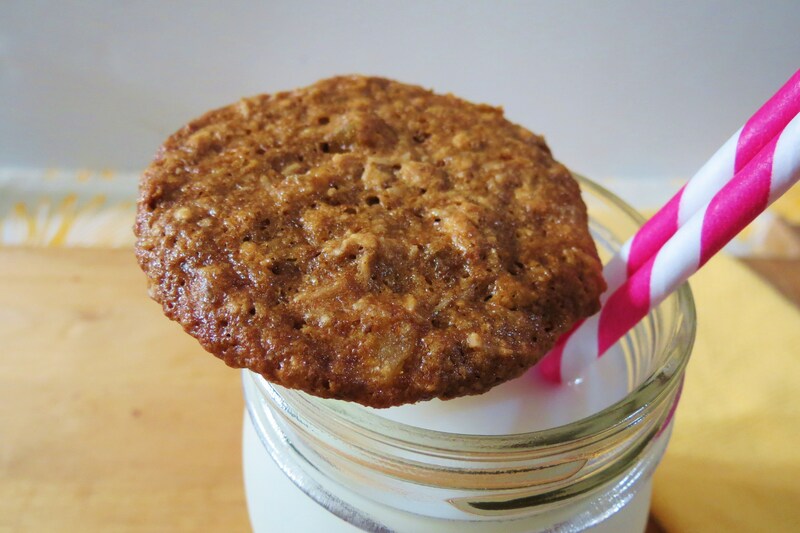 Well today I thought I would share with you my newest tropical cookie, which is the Pina Colada Oatmeal Cookie. I honestly don’t think you could get more of a Pina Colada taste in any cookie. 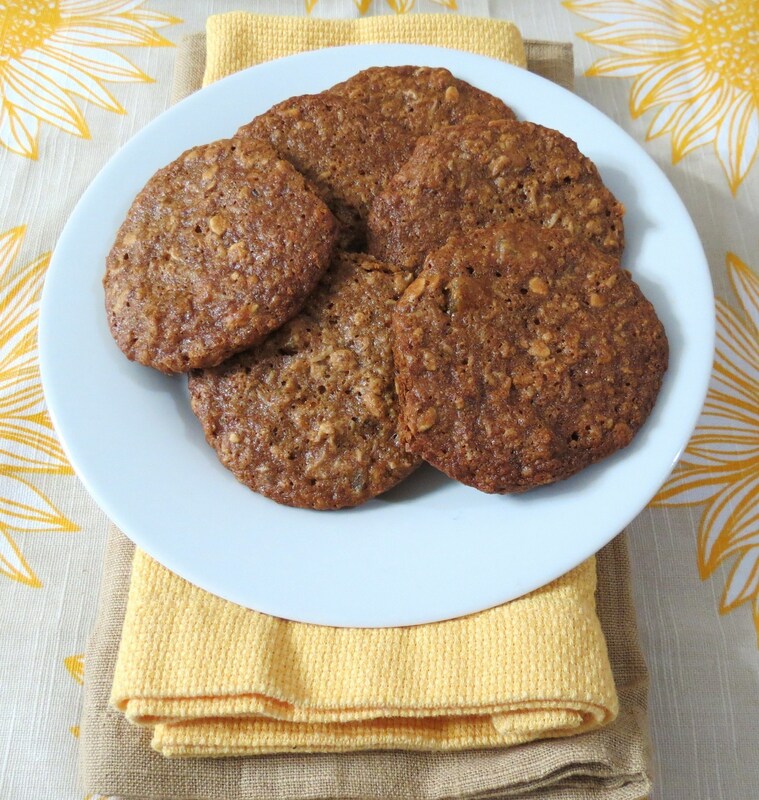 These cookies are chewy, with a crispy edge and full of coconut and dried pineapple. There simply amazing! If your a fan of Pina Coalda’s, than these cookie are for you! I made this batch the other night and my Husband and I took them to work to see how they would go over. We both came home empty handed with rave reviews!! I didn’t tell my co-workers what the cookies were or what was in them. I made them guess what they were, and they came close but couldn’t figure out all of the ingredients. 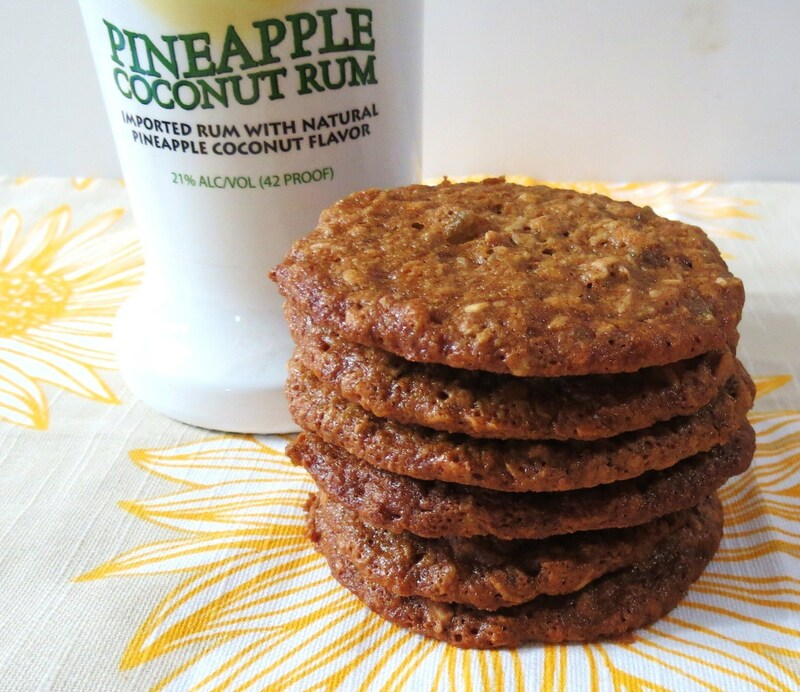 The secret to making these cookies a true Pina Colada taste was the little bit of Pineapple Coconut Rum. Yah baby yah!! Rum in cookies? Love it!! These cookies are gluten free and contain no butter. 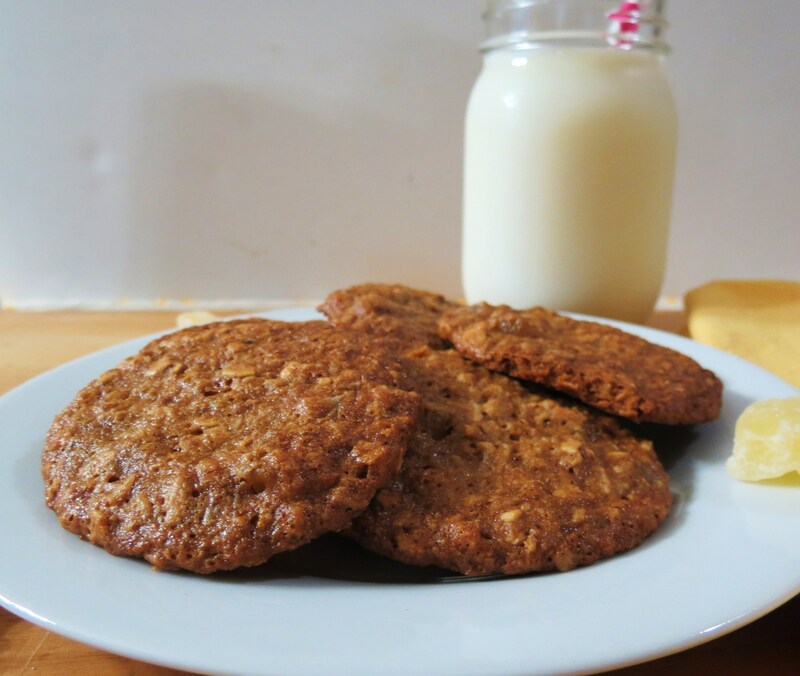 I made the cookies using oat flour, oatmeal, coconut oil, unsweetened coconut, coconut sugar, coconut and vanilla extract and a few other ingredients. One thing about these cookies is that they spread out when baking them, so be sure to give them plenty of room on you baking sheet. I made the mistake of putting them to close together and they grew into one big cookie. However, I don’t find anything wrong with one super large cookie!! One thing you should know is that these are a flat cookie, which to me is one of my favorite kind of cookies. I’m kind of sad that I didn’t have any extra cookies, I can go for one right now with a big glass of milk. I guess after I write my post I should make a quickie batch. I’m sure my Husband wouldn’t mind. Than again instead of milk, I should just make a pina colada, but being the good girl that I am, I won’t have a drink during the work week! 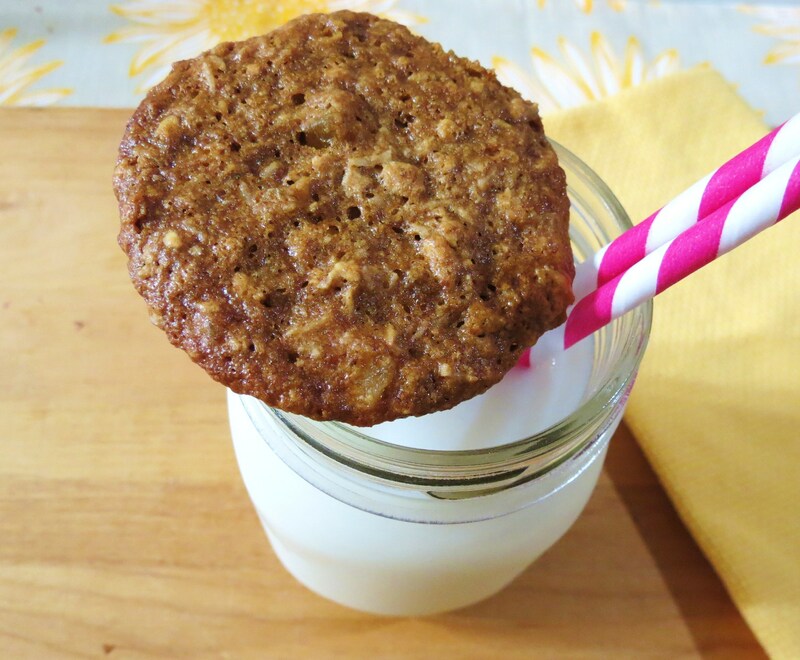 A tropical, crispy, chewy cookie that is gluten free and tastes just like a Pina Colada. Combine oat flour, oats, baking soda, and salt; stir with a whisk. In a separate bowl, add coconut sugar and coconut oil and beat at med speed until well blended. Add coconut extract, vanilla extract and egg; beat well. Gradually add flour mixture, beating until blended. Fold in pineapple,coconut and Pineapple Jack Coconut Rum; until blended. Drop dough by tablespoonfuls 2" apart onto prepared baking sheets. Bake at 350 F for 10-12 mins or until lightly browned. Let cookies cool on baking sheet for a few minutes, than place on a wire rack to cool. I have a question for all you cookie bakers out there. How do you store your cookies to keep them fresh and crisp? Every time I make cookies they turn soft on me. It doesn’t matter what kind of cookie it is either. Do you store them in a tin? Plastic Bag? Tupperware? On a plate with aluminium foil? I am stumped on this one! Please any cookie storage advise would be grateful!! As I type this, I look at my clock to notice how late it is, than I look to the kitchen sink and look at the pile of dishes that need to be done from dinner. Ugh! I HATE doing the dishes. I’ve complained about it before, but really I hate doing them. So I guess that’s my cue to go. Yum! They look great, and thanks for adding the nutrition info. Pinned! Can’t wait to try this recipe! Thank you for pinning them!! Let me know if you try the recipe. Ahhh Thanks Girl!! I’ll make more and bring them in, maybe on Monday!! 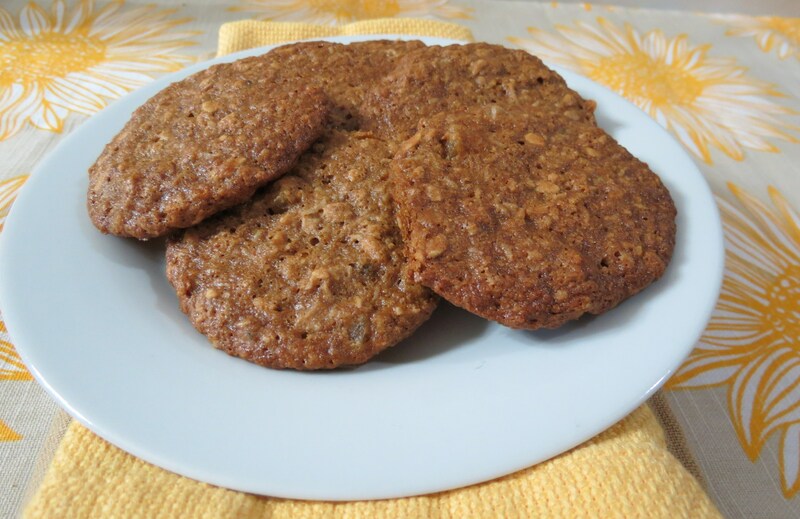 The oats work great in these cookies, gives it extra crispiness with the coconut. These sound fabulous! I have to go look at all of your other pina colada treats now. Thank you! I love Pina Colada’s! I kind can go for a big frosty pina colada now. I’ve been seeing a ton of pina colada recipes recently but this one is definitely the best one I’ve come across. Looks delish! I made pina colada cookies via cake mix that I doctored up. And I’ve made dark rum oatmeal raisin cookies (soaked the raisins in rum) and those cookies look extremely similar to these in terms of color/texture/flat. And I’ve made mango cookies, also flat. Between the fruit and the booze, I do think cookies with those things turn flatter…but taste amazing. These sound so good! Where have these been all my life??? These and that skinny vanilla mocha frappe! Thank you for the recipes! Your welcome anytime! 🙂 Have a great Friday! Those look so fantastic! I love all the different coconut in them. Thanks! I just love these cookies!! If you make them, let me know how they turned out for you. I hope your Husband loves them! Yum! This one is definitely going in my recipe collection. Thanks for sharing. Anytime! 🙂 If you make them, let me know what you think!! these sound delicious but not a drinker… Maybe I will be able to figure out a way to make them with the same pina colada taste without the rum. thanks for sharing on Foodie Friends Friday. 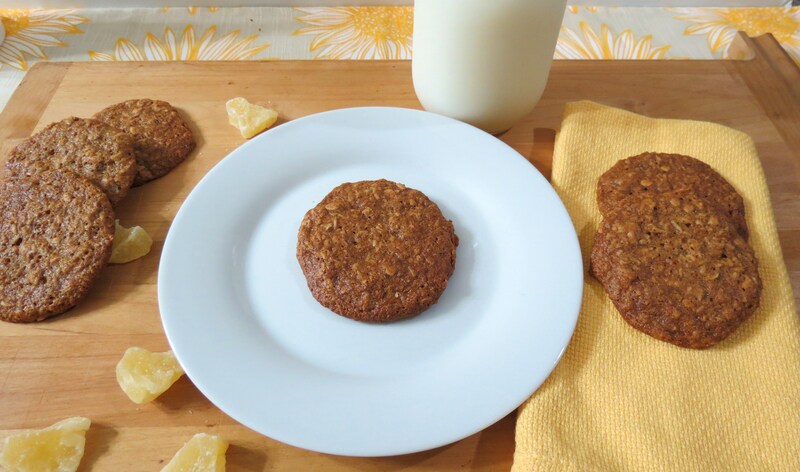 I made a version of these (I don’t like pineapple so mine were all coconut, though I didn’t have coconut sugar or oil so I substituted those too) and I really loved them. I went a bit overboard with the coconut but I never would’ve gotten a result so amazing had it not been for your base recipe. Thank you, I am glad your changes worked with the recipe. Thank you for letting me know.